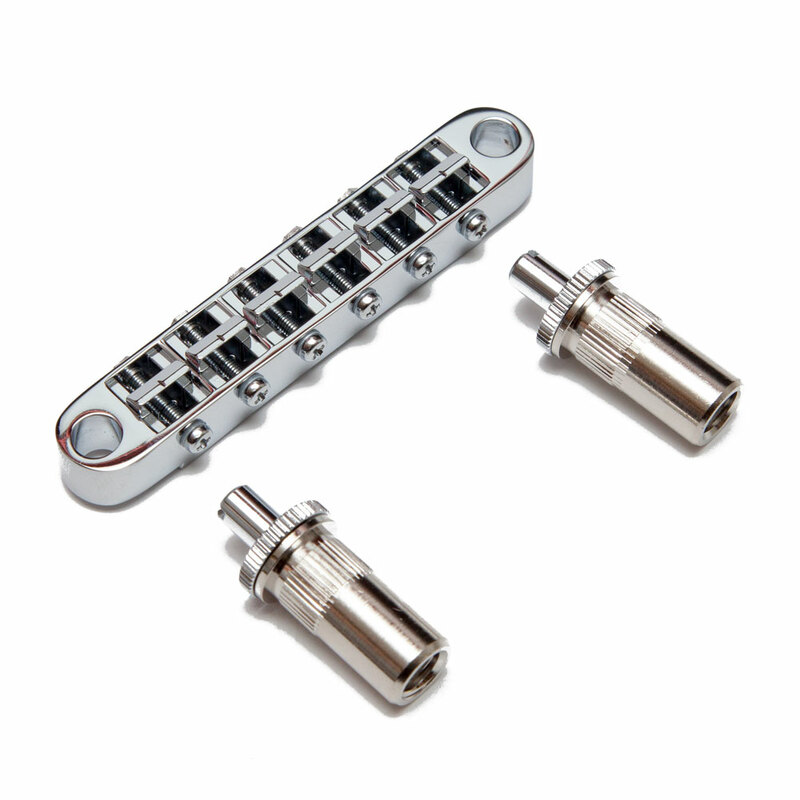 The Gotoh GE103B-T is the classic Nashville style Tune-o-matic bridge. The wider body allows for more intonation adjustment in the saddles over the earlier narrow ABR-1 design, especially important for thicker strings. The Nashville style saddles are also built in to the bridge, so no need for a retainer wire to keep them attached when you restring. You can adjust the bridge height either via the thumbwheel or the slot in the top of the bridge post if you have a screwdriver to hand. The metric threaded studs are spaced 74 mm apart and screw securely into metal body anchors.